Next month, Donald J. Trump, with hand on Bible, will be sworn in as the 45th President of the United States. Or will he? The recent talk about recounting votes and ‘faithless electors’ suggests this highly contentious power struggle is far from over. In fact, it may be just beginning. Anybody who believes Hillary Rodham Clinton has been sent to the political graveyard by a Manhattan real estate developer has forgotten the cruel surprises of recent history (Remember the Greek referendum? Brexit anyone?). Democratic due process has devolved into something like ‘The Hunger Games’ for the rich – a sensational televised spectacle to entertain the elite every four years, while keeping the people believing they can effect real change. Although it may seem implausible to some, Donald J. Trump may be denied the presidency due to a democratic system that has been corrupted to the bone by excessive wealth, power and collusion at the highest levels. As the world media continues to eulogize Cuban leader Fidel Castro, the neocon-liberal establishment is quietly positioning their chess pieces for a power grab of epic proportions. As far as I can tell, there are three stages of this silent coup presently being carried out on behalf of Hillary Clinton. The first step in the process was to perpetuate the news that although Donald Trump won the Electoral College (306-232), he failed to win the popular vote – reportedly by 2.5 million votes, at last count. 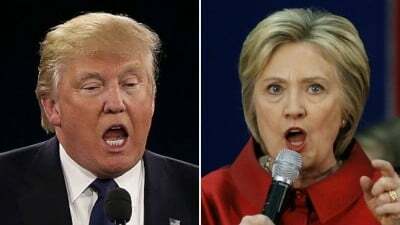 Clinton’s alleged victory in the popular vote count, which continued for three weeks after Nov. 9 (keep in mind that most of the vote monitors had already gone home as these votes were being quietly tallied), could present serious complications for Trump and his chances of entering the White House, as will become clear a bit later. Meanwhile, the blatantly anti-Trump media is conducting “thought experiments” to show how Clinton would have, could have, should have won the Electoral College if only the Electoral map had been spliced and diced here and there across the nation. The implicit media message behind all of this tomfoolery, of course, is that Wall Street-approved Clinton deserves her coronation, because, well, that is what the elite want, democratic procedure be damned. This ongoing campaign on behalf of Clinton is much more than just sour grapes; in fact, it is a war of attrition designed to exert undue pressure on the Electoral College, the rickety institution that got Trump elected in the first place. And although it has never robbed an election from a candidate who has gained the majority of Electoral College votes, there is a possibility – and a very high one in this particular battle – of so-called “faithless electors”tipping this contest in Clinton’s favor. This represents the second stage of Clinton’s attempt at reversing the results of the presidential election in her favor. Will the Electoral College go rogue? The Electoral College is scheduled to meet on December 19 to perform what, under normal circumstances, would be a mere formality of voting for either Clinton or Trump, according to the will of their constituents. Needless to say, however, we are not dealing with “normal circumstances.” This is a battle the Democrats have no intention of losing, no matter what the Electoral College results tell us. You’d be very wrong to think this couldn’t work. If 37 Republican electors essentially break the law and vote against Trump, it will block him from winning the presidency. The Democrat’s team of lawyers and political consultants are now working around the clock to make this happen. Micheal Baca, a Denver Democrat and a member of the state’s Electoral College delegation, is one of the individuals attempting to persuade Republican electors to discard the will of the people and vote for anybody but Trump. Baca makes no secret about his intentions to override the Constitution and go rogue. The Democrat full-court press is getting results. Art Sisneros, a Texas Republican elector, confirmed this week that he would resign his position rather than perform his Constitutionally mandated task. Before continuing, let’s take a moment and perform our own “thought experiment” and consider would would happen if Hillary Clinton somehow gets the nod for the presidency instead of Trump. If the country is not completely overwhelmed by coast-to-coast riots and protests, and there is somehow a peaceful transition of power, then Clinton can expect to face four years of the most hostile, uncooperative (Republican) Congress in American history. Although given the number of neocons who openly support Clinton and her hawkish tendencies, there could be points of agreement. In a best-case scenario, there would be – aside from carrying out the necessary task of maintaining ‘law and order’ at home, while continuing on a war footing abroad – a four-year-long government shutdown. America would get its first real taste of what martial law feels like. Is that something we really need? Apparently it is for some folks, and not least of all Green Party presidential candidate, Jill Stein. And this brings us to the final stage of a possible Clinton coup. It is generally assumed that it was Jill Stein, the Green Party presidential candidate who masterminded the call for a recount of votes in Wisconsin, Michigan, and Pennsylvania. That’s not quite right. Just one day after the above article appeared (Nov. 22), Jill Stein, who came in dead last with about 3 million votes less than Gary ‘What is Aleppo?’ Johnson, announced she would be collecting money to recount votes in the swing states. One of the interesting things about Stein’s choice of swing states to hold recounts is that these are the very same places where Trump emerged victorious. Coincidence or not, that alone should have set off some alarms. In any case, the reason Jill Stein and not Hillary Clinton is calling for the recount is evident: Throughout the campaign, the media hounded Trump with a single annoying question never asked of the future loser: Would he accept the results of the election in the event he lost? When Trump said he would take a “wait and see” approach, Clinton assumed a holier than thou position. So now that the tables are turned, Stein is in the kitchen doing the dirty work. And the media suddenly can’t get enough of this woman who haunted the 2016 election campaign like a rare phantom sighting. But it gets better. Stein has managed to accumulate a massive war chest to carry out the recount – $7 million at last count (or about seven times what she received during her entire presidential campaign). At one point, her recount drive was pulling in almost $5,000 every minute. Somehow that doesn’t sound like Joe Voter digging deep in his Levi’s; that sounds more like big league spenders stepping up to the plate. Incidentally, when Stein first started passing the hat around, she said $2.5 million would be plenty, thank you very much. Yet every time she hit the target, a higher threshold was introduced. Is Stein’s recount campaign really about collecting some easy money while giving the Green Party some much-needed attention? Or is Stein just trying to shed some light on the dry rot gnawing away at the foundation of US democracy? All that, however necessary, seems very unlikely. After all, the recount plan was initially floated to Hillary Clinton, not Jill Stein. Thus, we must assume this is all part of a major power push for the Democrats to steal the White House from Donald Trump. And here is where we can fit the last piece into the puzzle to understand what is really going on here. If the recount effort alone won’t make much of a difference to either Clinton or Stein’s chances of overturning the massive edge that Trump now enjoys, then why are they bothering themselves? Hold onto your seats, folks, this gets interesting. The answer boils down to simple arithmetic, as well as some monkey play in the system. Presently, Michigan has already agreed to a recount, which will be carried out this weekend and require hand-counting of ballots in the regions. This process will take many days. Federal law requires the recount to be finished by Dec. 13 – just six days before the Electoral College is expected to cast its votes. Wisconsin has already agreed to a recount, while Pennsylvania is dragging its feet. In other words, this process will probably take us right up to Dec. 19 – the date the Electoral College is supposed to cast their votes (Why the Electoral College vote isn’t valid without these voters, who could go rogue, is a question for another day). Keep in mind that the total number of Electoral College Votes in Wisconsin, Michigan, and Pennsylvania equals 46. Now take Trump’s 306 Electoral votes and subtract that amount. This leaves you with 260, which is below the 270 required for a candidate to be automatically considered the winner of a presidential election. Do you see where this is going? Now if this recount should start to point toward a Clinton victory in these three swing states, this will present Trump with a very serious quandary. Should he kick up a fuss and protest the recount on the grounds that he won the Electoral College, this could provoke some sort of “constitutional crisis” that prevents the recount from being completed by the Dec. 13 deadline. Now, if the matter remains unsettled by Dec. 19 this could – technically speaking – give the Electoral College’s “faithless electors” yet more reason for not aligning themselves with their constituents. Or, on the other hand, the Wisconsin, Michigan and Pennsylvania votes could be considered forfeited because they failed to resolve the issue by the Dec. 19 deadline. So if it did come down to this, who do you think will be selected – possibly by the very Supreme Court that Trump hopes to disband once in office – to be the 45th president of the United States? Yes, Hillary Rodham Clinton, the candidate we have been told got 2.5 million more popular votes than Donald Trump (I would suggest Trump start a serious process to challenge those votes right now). For those who still doubt this possibility, please consider the two latest failed grassroots movements of our times – Brexit and the Greek referendum – two examples of ‘democracy in action’ that the political elite has de facto canceled or put on hold indefinitely. In other words, the elite will always get what they want, regardless how the votes goes. Clinton seizing the White House through the backdoor would not be the strangest thing to happen in old Washington. Just ask George W. Bush how he got elected president in 2000 by the Supreme Court, not We the People.